Aerial image of the approaching eclipse shadow captured by the Nebraska team that launched high altitude balloons to study the Aug. 21 event. A Nebraska research team that was part of a nationwide, NASA-funded project studying the Great American Eclipse successfully launched three balloons and collected data during the Aug. 21 celestial event. 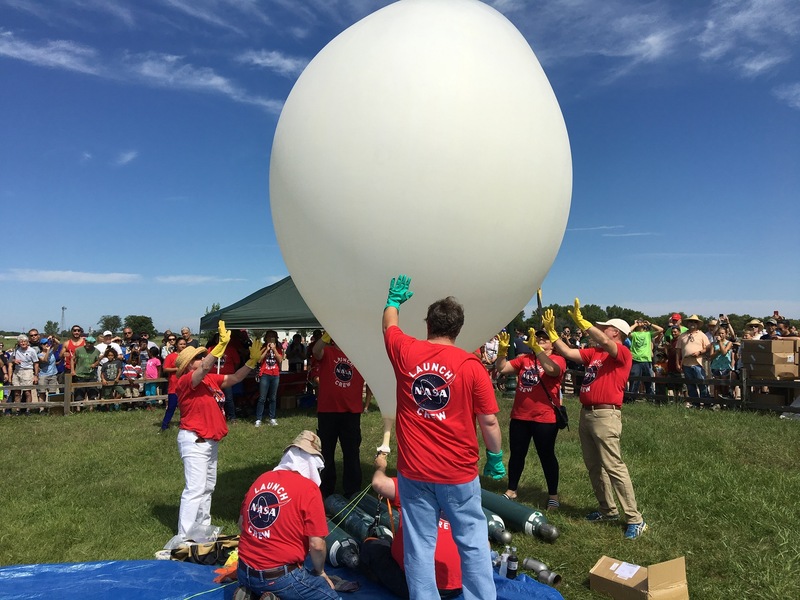 The team, led by Michael Sibbernsen, a lecturer in physics and astronomy at the University of Nebraska–Lincoln, launched the balloons in the path of totality from the Stuhr Museum in Grand Island. The balloons carried tracking devices and specially-designed payloads that collected environmental data and photographs while streaming live video of the eclipse path. The research payloads included student-developed experiments and an Iowa State University astrobiology project studying the survivability of bacteria at different altitudes. Sibbernsen reported that the balloons were launched on time and the payloads were tracked and successfully recovered. Though there were technical difficulties with a few experiments, the Nebraska portion of the national NASA project was deemed a success. “We’re pretty excited to be a part of this history-making project, which provided a unique eclipse experience to the entire world,” Sibbernsen said. Learn more about the results of the eclipse day research project, see images and watch video. A second Nebraska research team used drones to study environmental changes caused by the eclipse. Learn more about the drone project. Members of the high-altitude balloon research team ready an eclipse-day launch at the Sturh Museum in Grand Island.